There are many ways to invite new members to IBOtoolbox and many benefits that you will receive for referring. Exposing your downline to all the amazing tools IBO has to offer can be a win/win for both you and your team. You also have a huge opportunity to offer something of value that every marketer needs, wants and will soon discover that they can't live without! Two wonderful things to consider is that these marketers that you refer could very well join your business, not to mention that both of you get credits when the referral achieves their first star! Here's the biggest advantage that I know is the most important and appealing to all members - the opportunity to make money with IBOtoolbox! Now with the new IBOtoolbox commission system in place you can make money with IBOtoolbox when your referral purchases credits! You can learn more about the details of the IBOtoolbox commission system here! So how do you get referrals to join you at IBOtoolbox? - This Free Site Gets 300K++ Targeted Visitors - 1.5 Million Ad Views Daily! If you have an opportunity to place a banner ad, there are banners available as well if you scroll down the page. The Dynamic Email Signature is great to put out anywhere you are able to post graphics as well as incorporating it in your emails that you send out. It is like an electronic business card! There are other ways and other enrollment tools available for IBO, this should give you enough ammunition to start spreading the word! Once you have referred a new member to IBOtoolbox, it's important that they get training on how the platform works. If they don't get training, they will never purchase credits because they will not understand how credits work and you will never make any money with IBOtoolbox! Here's your simple solution - get them to the training webinars or better yet, direct them to marketwithkris.com for training. I will take care of training them and educate them on the value of purchasing credits! 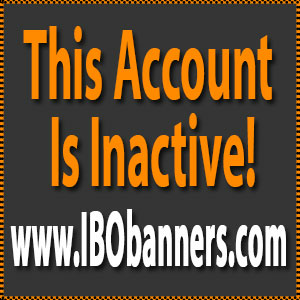 It's been proven that only those members that understand how IBO works will buy credits. You refer - Referrals get trained - You make money!